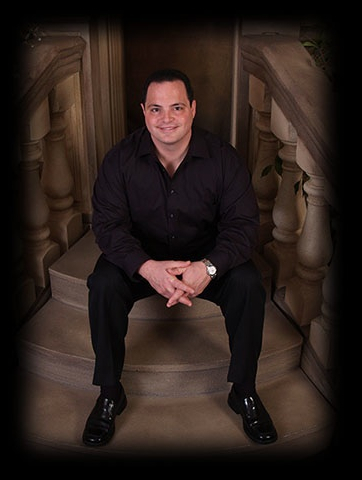 Jimmy Alleva is a gifted tenor with a style similar to the distinguished voices of Andrea Bocelli, Jimmy Roselli and Mario Lanza. Alleva is creating a buzz, particularly in the tri-state area where after every performance he leaves the audience standing on their feet and wanting more. Jimmy recorded Love & Romance, his debut album and released it independently in the summer of 2008. He recently recorded his newest album entitled Songs From The Old Neighborhood featuring some of his favorite songs arranged with new musical renditions. His new album is set to be released in Fall 2011. Jimmy's repertoire includes not only singing for various Feasts and Festivals, but he is a regular guest on the radio station WTCC 90.7FM Springfield MA for the popular radio show "LA Dolce Vita" which broadcasts throughout the New England area and is also featured on the Uncle Floyd Show on WRTN 93.5FM which broadcasts out of New Rochelle NY and John Labarca's(TM) Italian House Party 1400 WSTC AM / 1350 AM WNLK in Norwalk, CT.
Jimmy's music has reached numerous events through-out the tri-state area and Massachusetts and as far as Ohio where he is featured every week on Joe Mazzocca's(TM) "Italian Favorites Show", WKTL 90.7FM and Serenata D'Italia with Vince Campana 1390 WNIO in Youngstown. His most recent accomplishment took him for the second time to the red carpet for the annual New York City Columbus Day Parade as one of the featured singers which was shown on National TV. Triple-booked that day, in addition to his red carpet performance he was also the featured singer for the Sons of Italy float and for the Feasts of Sant' Antonio and San Paolino. © 2010 Jimmy Alleva. All rights reserved.